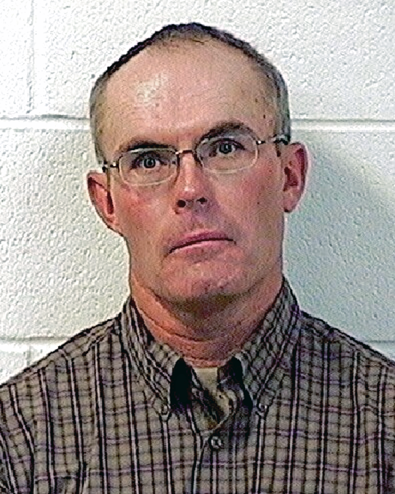 Earlier this month Monty Luke Pilgrim, 52, of Little Snake River, was expected to report to the Moffat County Public Safety Center to begin serving his 90-day jail sentence. But Pilgrim has decided to take his case to the Colorado Court of Appeals. He was granted a stay of execution by the district court pending his appeal, according to court documents. The notice was filed by Lakewood attorney Antony Noble following Pilgrim’s Sept. 20 sentencing in Moffat County District Court. Pilgrim was charged in district court with nine counts of theft of agricultural animals, a Class 4 felony; nine counts of concealing strays, a Class 6 felony; and nine counts of wrongful branding, a Class 6 felony. Pilgrim faced a total of 27 felony convictions, broken up among the three felony charges, representing nine alleged victims in the case. In July a 12-member jury found Pilgrim guilty on charges against five of the nine area ranchers. Senior Judge David Lass presided over the trial and handed down the sentence in September, which — in addition to the 90-day jail sentence — also included three years of probation, 50 hours of useful community service per each year of probation, and fines and court fees exceeding $15,000. Noble agreed Thursday to discuss the appeals process, but would not comment specifically about the case citing attorney/client confidentiality. Unlike a trial, the majority of the appeals process does not take place in a courtroom. Once the notice of appeal has been filed, transferring jurisdiction from the trial court to the appellate court, and a record of the case has been compiled, the appellant files an opening brief outlining arguments about errors the trial court made and why the jury’s judgment of conviction should be reversed, Noble said. The state, represented by Attorney General John Suthers, then files an answer brief responding to the arguments raised by the appellant. The defendant may then file an additional brief to respond to the arguments raised by the Attorney General in the answer brief. If requested, the state and the appellant may present 15-minute oral arguments in the Colorado Court of Appeals in Denver before a three-judge panel. Colorado’s appellate court is comprised of 22 judges. The panels are assigned to each case by Chief Judge Janice Davidson. Several weeks after oral arguments have been heard the panel will issue its written opinion, which can encompass a variety of different decisions, but generally either affirms or reverses the jury’s judgment of conviction. The court is currently compiling a record of the case, Noble said, and an opening brief have not yet been filed.